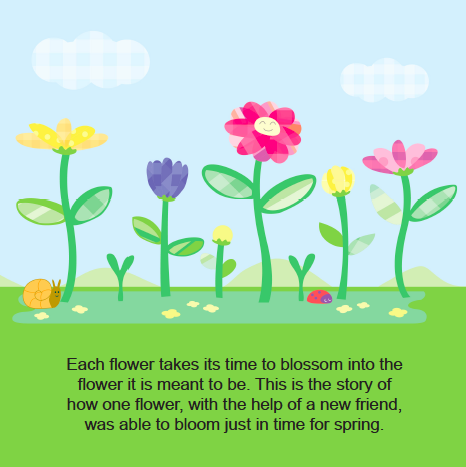 Each flower takes its time to blossom into the flower it is meant to be. 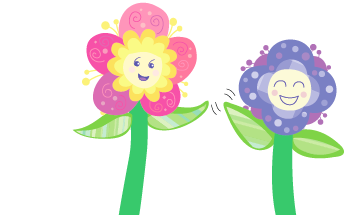 Spring is arriving and all the flowers in the field are blooming. 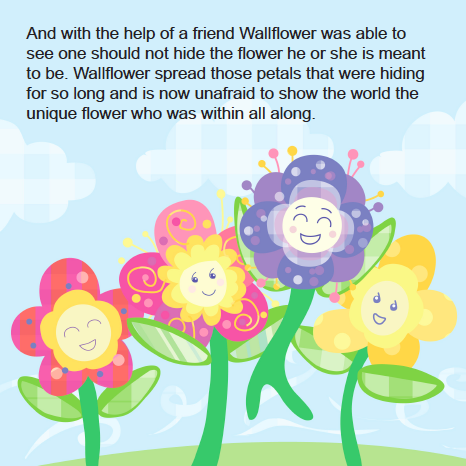 All except for one very shy flower nicknamed Wallflower. 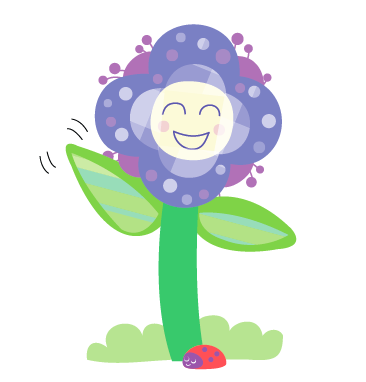 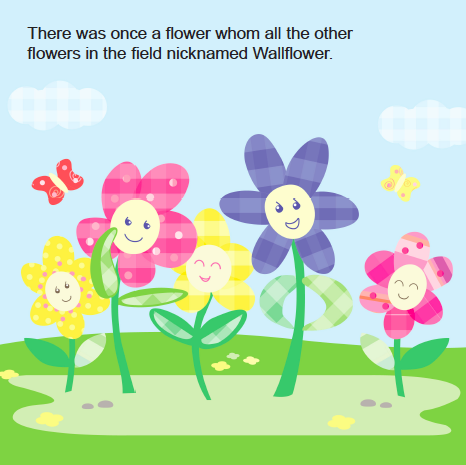 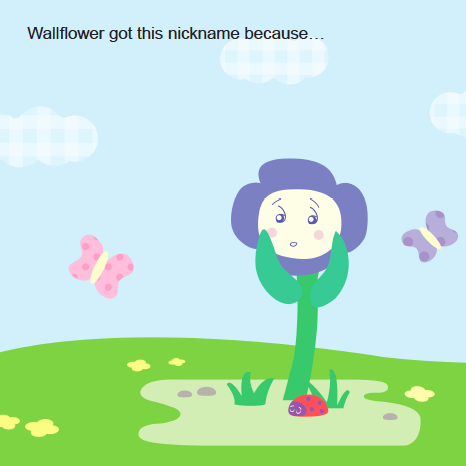 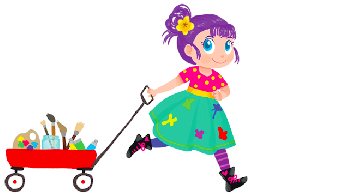 There’s another flower in the field who also has a nickname, Wildflower. 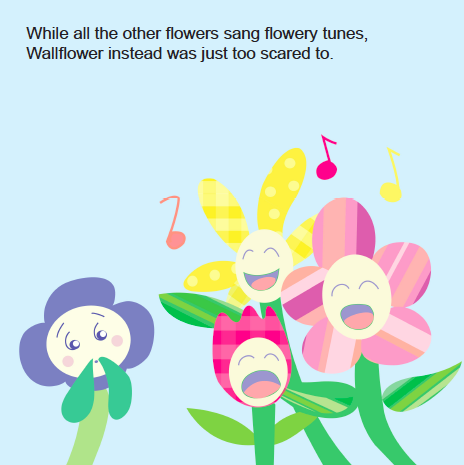 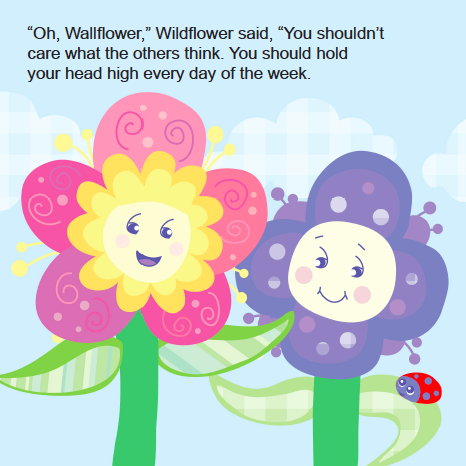 Wildflower is the complete opposite of Wallflower and is not afraid to be unique. 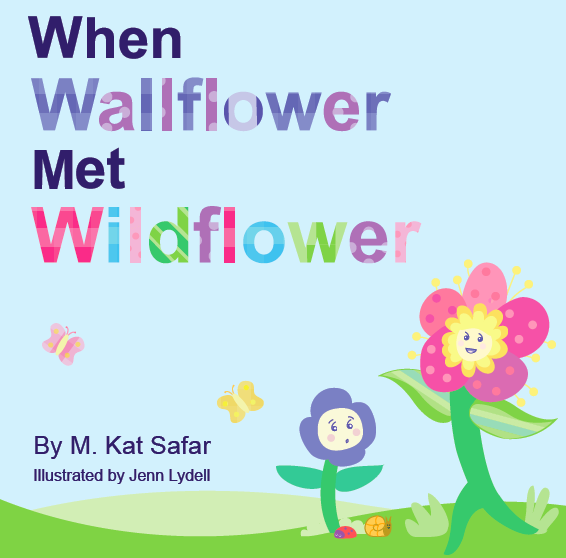 Wildflower helps Wallflower see that it is okay to be different and to bloom into the individual flower that has been within all along.